I’ve been in Guatemala for 2 weeks already and I don’t even know where to begin in sharing everything that I’ve already learned. My first time traveling alone, getting very sick, trying to remember all of my Spanish, scrambling to find a long-term rental… my first few weeks were filled with lessons, challenges, and opportunities for growth. 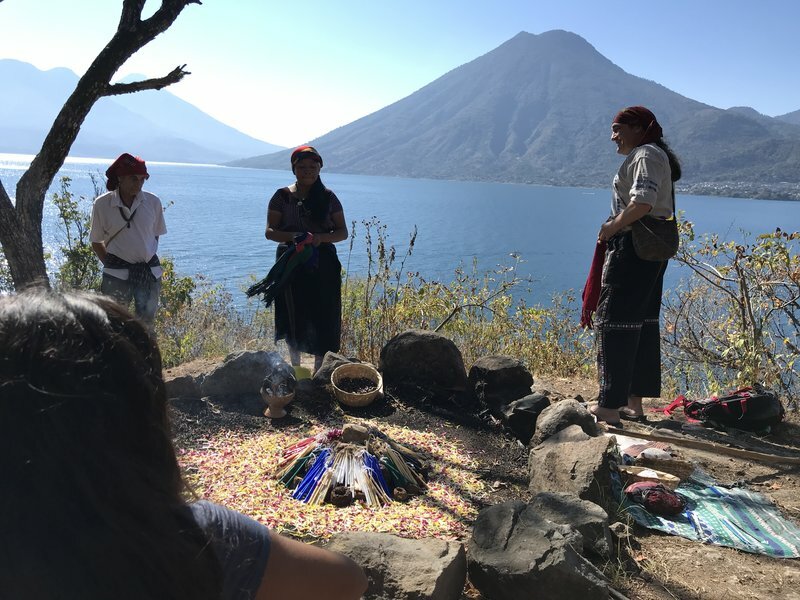 Many people warned me that the magic of Lake Atitlan is like a vortex for growth and I can attest to that. Come here and you’re blown wide open! One of the most powerful experiences I’ve had so far was to participate in not one, but TWO sacred Mayan Fire Ceremonies. Giving thanks for everything we have in our lives and that that specific Nahuale has given us (ie. the NahualeI of the wind for giving us our voice and allowing us to express ourselves). I am especially inspired by the forgiveness piece of the ceremony. It acknowledges the very real fact that we are human and that mistakes are the only way that we can learn and grow. It gives thanks to all of these challenges and invites them into our lives instead of trying to push them away. I know a lot of us get caught up in seeking perfection. In the way we eat. In the way we move our bodies. In the way we connect with family and friends. In our jobs. But that’s not what being human is all about. And the Mayans even knew it. I think a lot of our stress and guilt come from forgetting this. From pushing away from our failures instead of embracing them and growing from them. And this is the message I want to share with you today as you spend some time over the next few days to reflect on what an amazing year you had in 2018 and what you want to manifest or accomplish in 2019. Look back at your “mistakes” and “failures”. Ask what you learned from those lessons. Give thanks to the lessons that have allowed you to learn about yourself and the world around you. I don’t believe in setting New Years Resolutions, and neither did the Maya. Instead, acknowledge everything you have in your life, how far you’ve come on your human journey and express gratitude for all of it – the good and bad. Then from this place of gratitude, decide what you want. Where you want to grow. How you want to improve your health and relationships. Connect on a deep level with how you will take small steps towards making it happen. My biggest piece of advice is to set a date with yourself in the next week. Take yourself out for coffee or lunch and allow a few hours with a journal to reflect on 2018 and set your intentions for 2019. Getting clear on what you want, how you want to feel, and why is FAR more important than simply setting the same goals you did last year and aspiring to do what everyone else wants you to do. I hope you take these lessons into your heart this week as you start thinking about 2019. Know that you are already whole. You are already perfect. And you can have anything you want if you just ask for it. 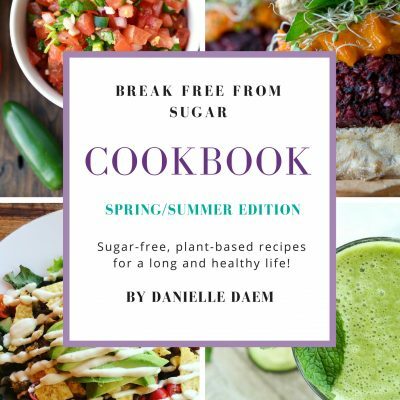 If one of your intentions for 2019 is to finally build a healthy relationship with food and sugar for good, I’d love to welcome you into the next Break Free From Sugar Group Program. If you want to be the first to know all of the juicy details (and get the lowest price) of this life-changing 9-week program when I open registration in January, be sure to come over HERE and put your name on the VIP Registration list!